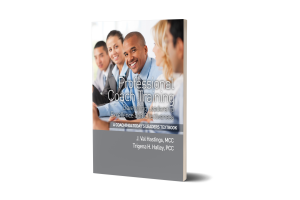 This is the official textbook for our Professional Coach Training. This is the business and non-profit version of “The Next Great Awakening” book. Rich with practical examples, this book will provide you with a solid foundational understanding of coaching techniques. 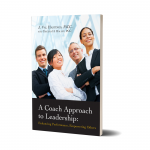 The tools and exercises, along with additional resources will equip you to continue to practice and develop your skills, setting you firmly on the path towards coaching excellence. This is the official textbook for our Coaching at End of Life Training Program. We live in a culture that is uneasy with end of life issues. Yet death is the one reality we must all face. All will die, and all will experience grief. 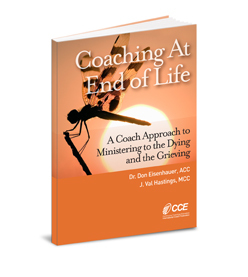 This textbook will focus on the spiritual leader who wants to use a coach approach to minister to the dying and the grieving. Participants will take away practical skills and behaviors that will equip them to effectively minister as an end of life coach. In addition to the 8 Building Blocks of coaching, the reader will learn 8 Supporting Building Blocks for coaching the dying, and 8 Supporting Building Blocks for coaching the grieving. Practical tools for follow up are also introduced.